I wanted to post a few pics of what I’ve been working. 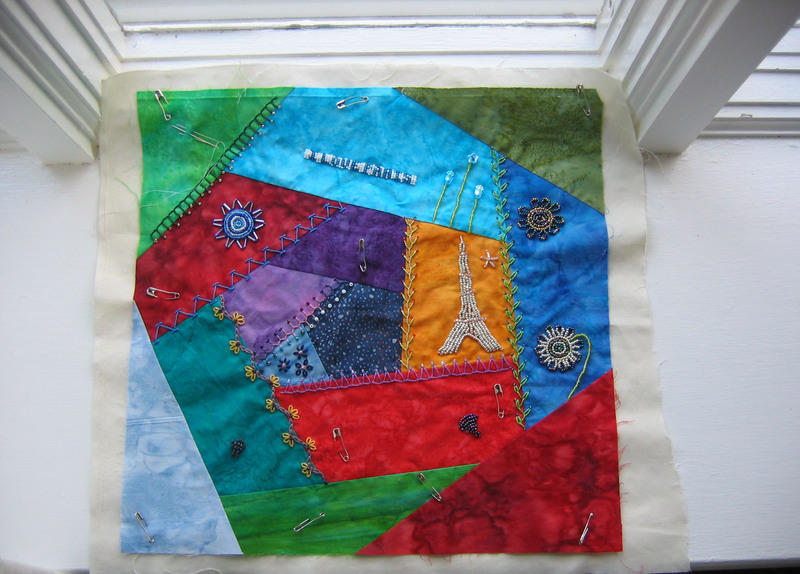 I love Paris, so I thought I’d do a mini-quilt saying so. It’s very challenging figuring out what goes were and everything I should include but it’s also so much fun. 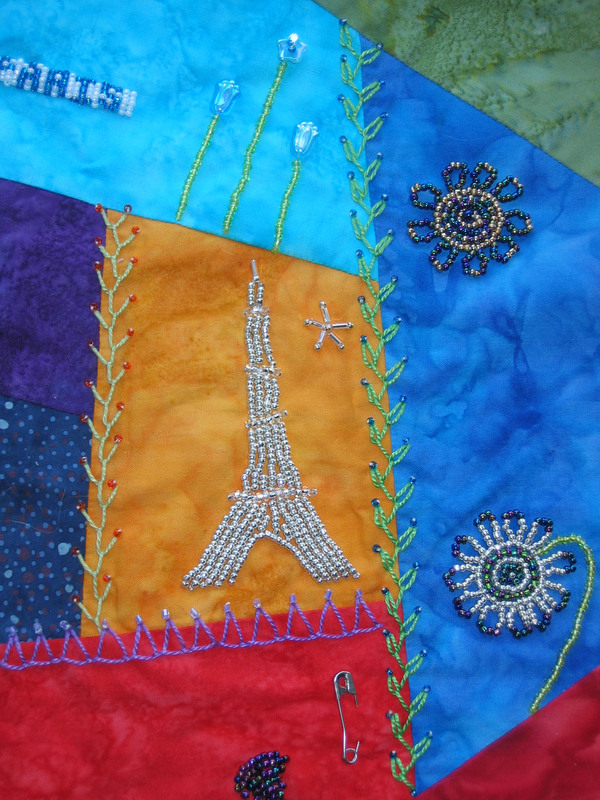 I’m really love beading and I’ve been looking through all my old Quilting Art’s magazines. They are an incredible resource for beading techniques. I can’t wait till Deana Hartman comes to the guild in October.